Members of the community have taken to the streets in a series of protests that aim to take the suburb back. Factors such as the rise in rates and the buying of property by wealthy foreigners have made Bo-Kaap an area where many of its original community members can no longer afford to live. A “mass boeka”, a traditional meal held to break the fast during Ramadan, was held yesterday on the street, with those involved inviting anyone who wanted to show their support to join the meal. Groups such as Bo-Kaap Rise! and Bo-Kaap Youth, who spearheaded the protest, hope to get the area declared a Heritage Site, which would ensure that developing it further would not be allowed. Financial changes in Bo-Kaap have also led to social changes, with a member of Bo-Kaap Rise! saying that mosques in the area have been asked to lower the sound of the call to prayer, a request seen as insulting in a predominantly Muslim area. 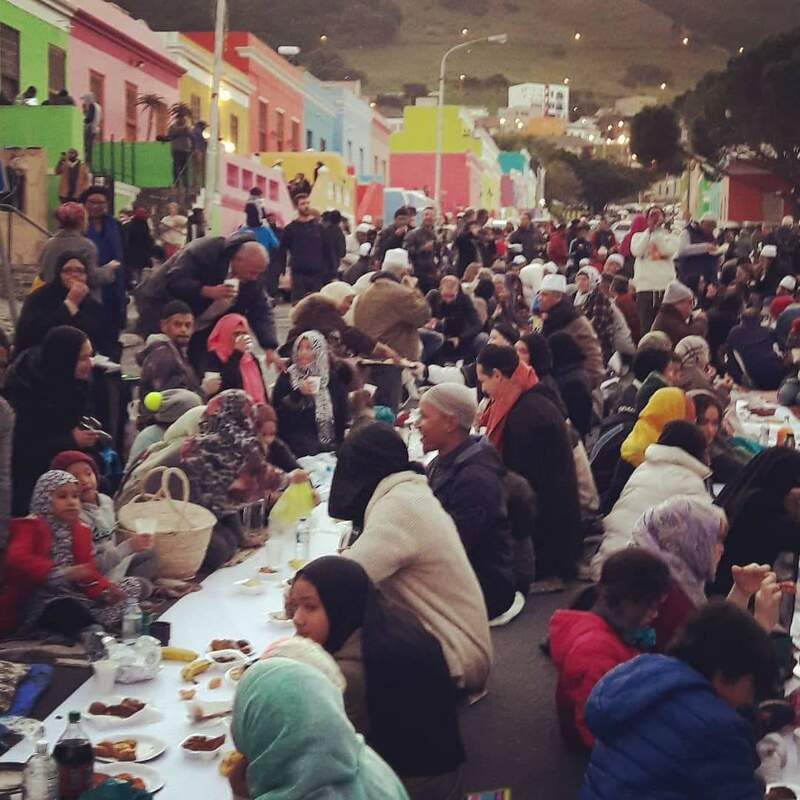 A peaceful “mass boeka” protest in Bo-Kaap. Picture: Twitter. Cape Town City Council’s mayoral committee member for safety and security, JP Smith, has claimed that “sinister forces” are behind the protests, and says he has footage showing that some protesters do not live in the area. Residents deny this and have responded by requesting that Smith releases the footage. Comedian Yaaseen Barnes, who has relatives from Bo-Kaap on both sides of his family, has been vocal in his support for the Bo-Kaap Rise movement. A peaceful “mass Boeka” protest in Bo-Kapp. Picture: Twitter. Barnes added that while the City of Cape Town “loves putting Bo-Kaap on postcards”, they are not truly supportive of attempts to preserve the community. Barnes added that those who are involved are hoping that this is a cause that will be championed by people from outside of the area and that the importance of preserving the community will be understood not just by those who live there. “The movement wants to show that this is not a Muslim issue, it’s a Cape Town issue”, he says. If you are any of the above. 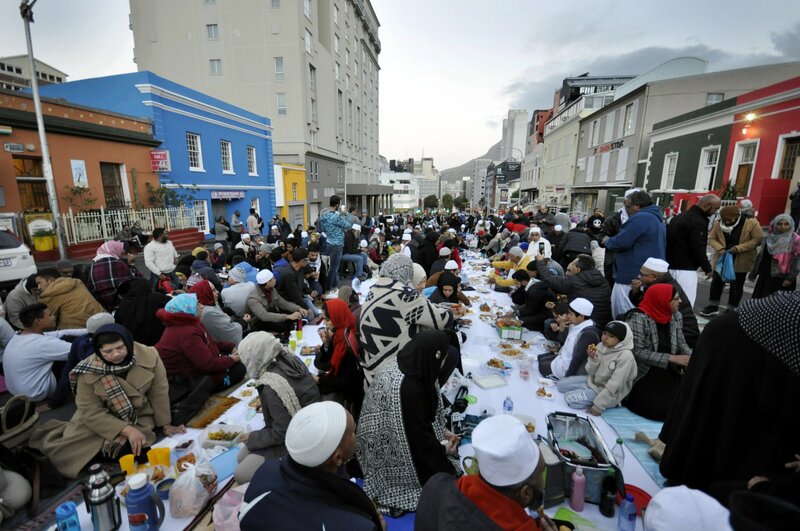 The #bokaap issue is not a Muslim issue. Whether you only ever go there for photos or klopse or koesisters. We need to preserve the heritage of it. The Mass Boeka is such a peaceful form of protest. Anyone can join. Share a meal with the people. Show your support. CORRECTION: An earlier version of this article reported that Bo-Kaap Rise! had spearheaded the protest. It was in fact Bo-Kaap Youth.